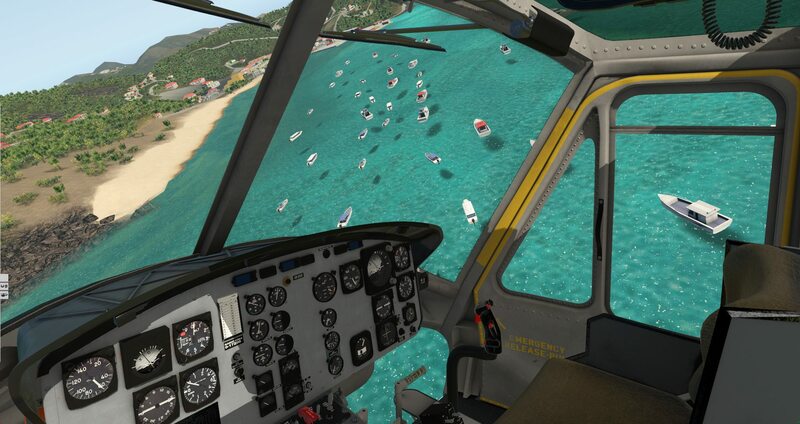 Nimbus Simulation Studios have been working on the Huey since early March, however, it has seen little spotlight since the release of Chicago O'Hare (KORD) V3. The project appears to be back on track, however, with new previews posted on the group's Facebook page. 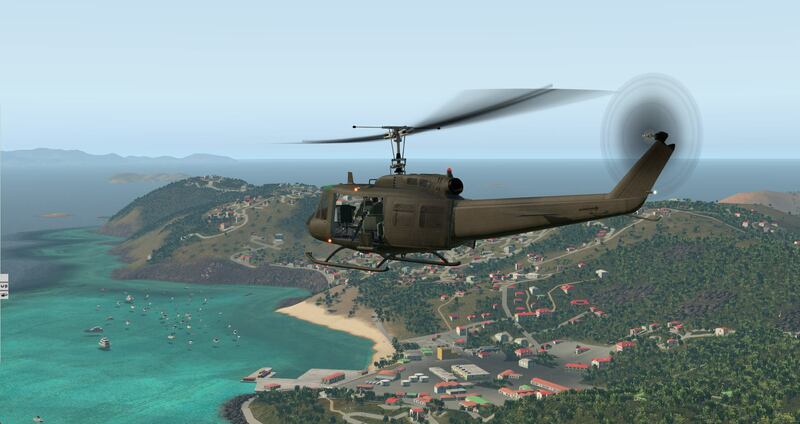 The military utility helicopter was used by the US Army and Air Force during the war in Vietnam, with over 7,000 iterations of 30 variants deployed there. 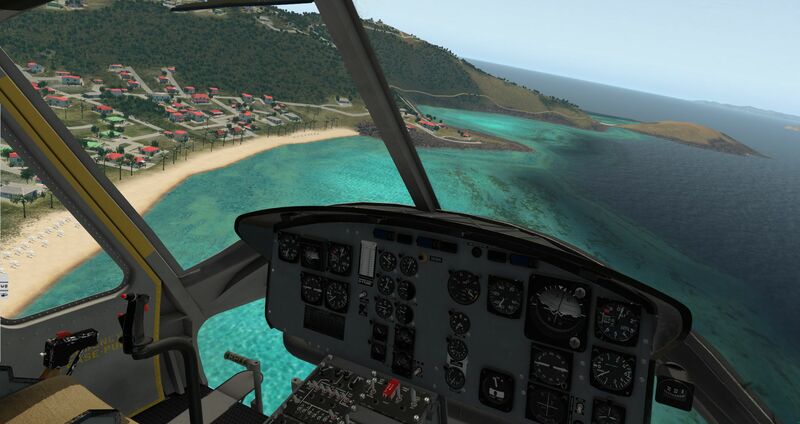 "Taking the Huey out for a spin at St. Barts (TFFJ)"
The previews that surfaced today are of the UH-1 Iroquois flying around the Caribbean island of St. Barth's, which Nimbus developed scenery for. 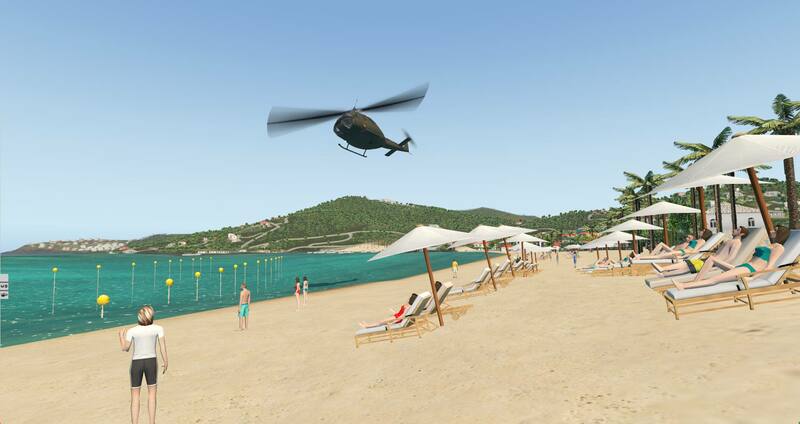 They show a relatively complete helicopter, with functions such as the weight & balance menus being previewed for the first time.